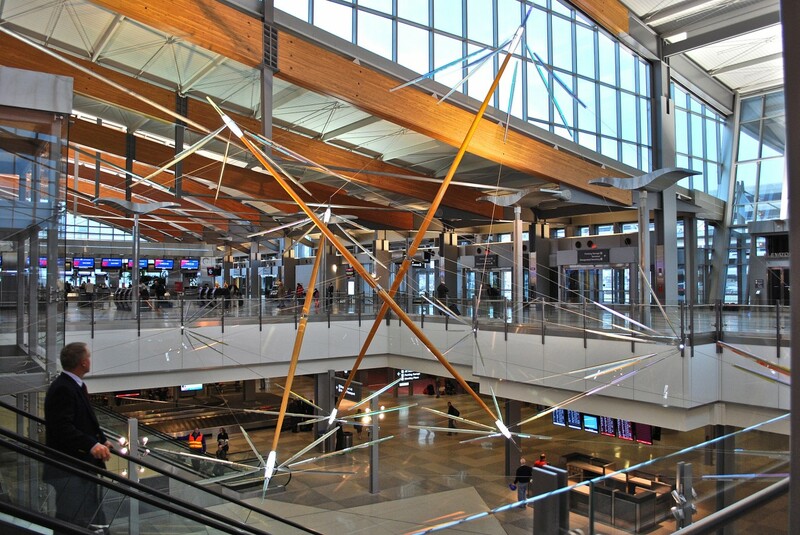 “Triplet” creates a powerful presence in Terminal 2 at Raleigh Durham International Airport, positioned to be seen from long distances on either axis of the ticketing and baggage levels. Revealing increasing complexity as one approaches, it forms an engaging canopy that is experienced freshly from every angle whether moving up or down through the Central Opening. 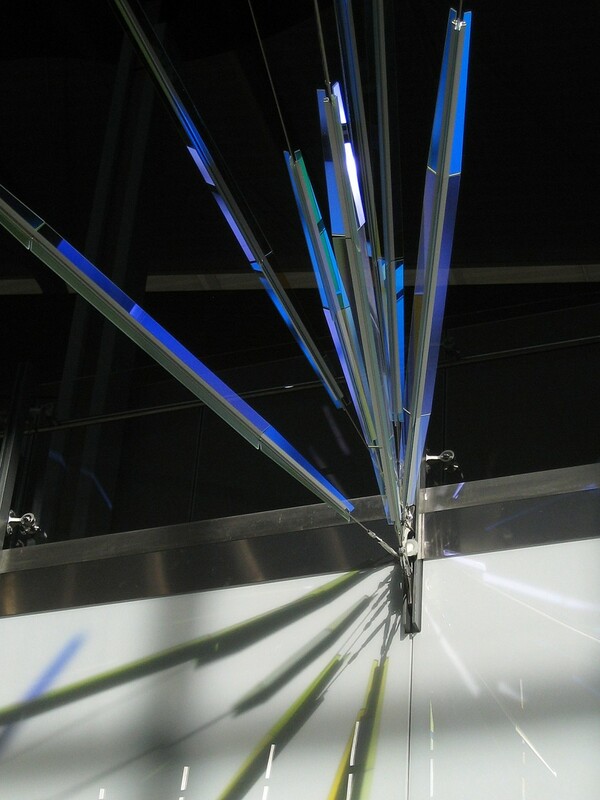 “Triplet” is suspended only from six anchor points integrated into the second floor railing stanchions, leaving viewers with a sense of awe at the apparent weightlessness of the installation. 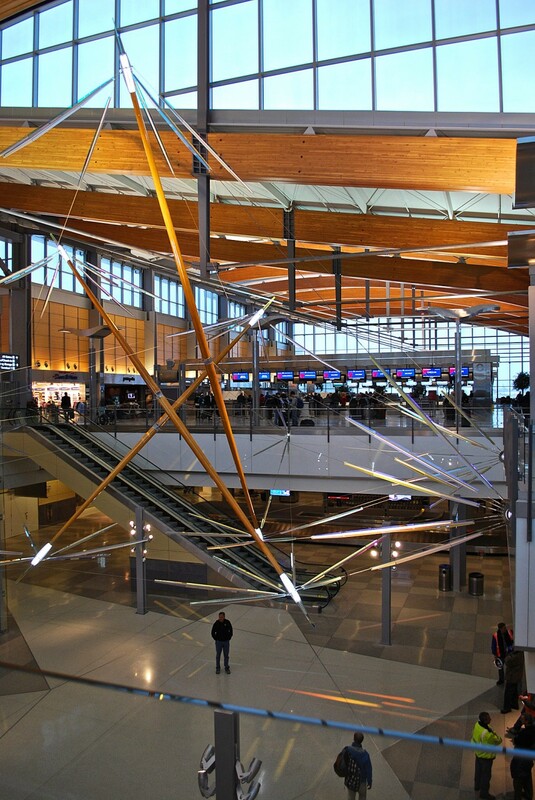 Triangular forms created in space suggest the Research Triangle, and refined, hand-finished materials and fabrications are reminders of North Carolina’s legacy of fine craft. 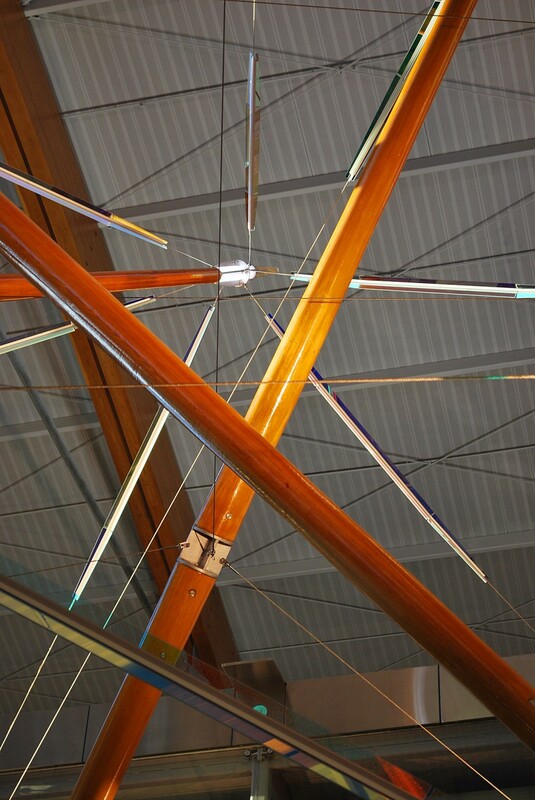 The sculpture’s immense Douglas fir masts are crafted from the same material as the building’s impressive beams overhead. 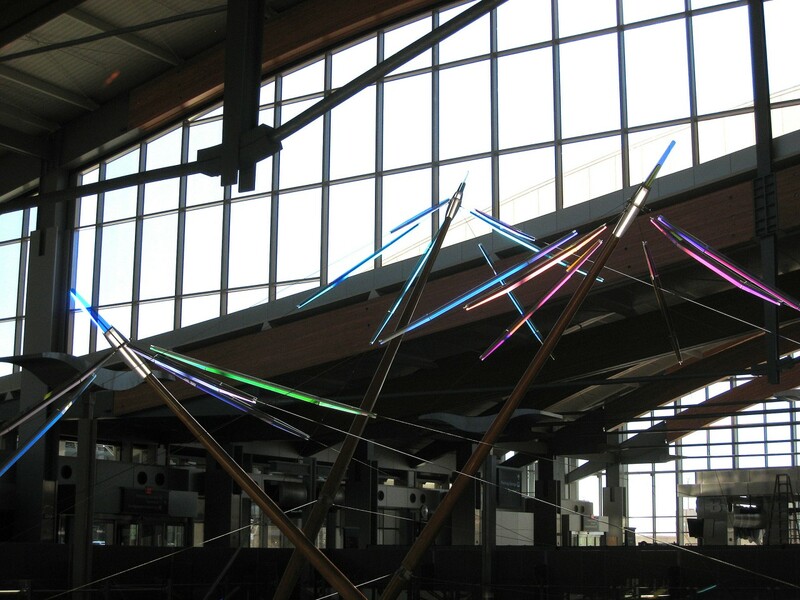 Dichroic glass elements provide rich color and slowly moving light projections when sunlight strikes through clerestory windows. 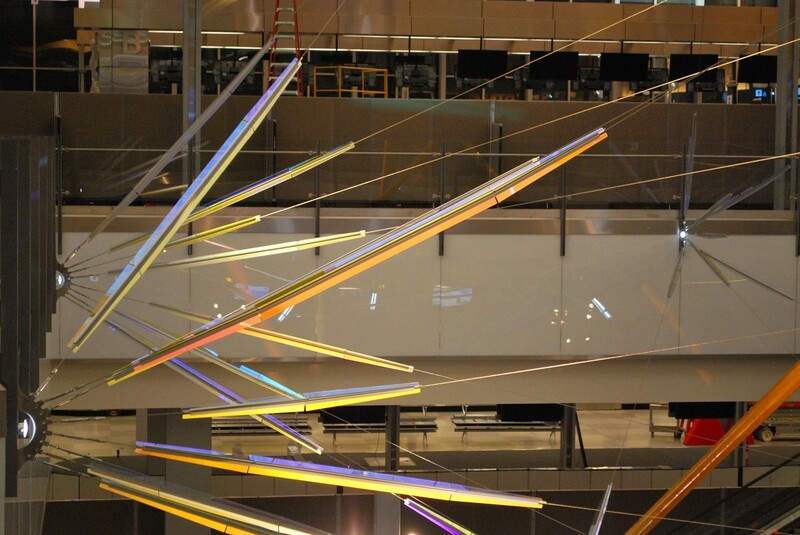 Mast tips and anchors glow with embedded L.E.D. lighting. The floor beneath the sculpture is designed with a complimentary terrazzo pattern emphasizing the points at which art and architecture merge. 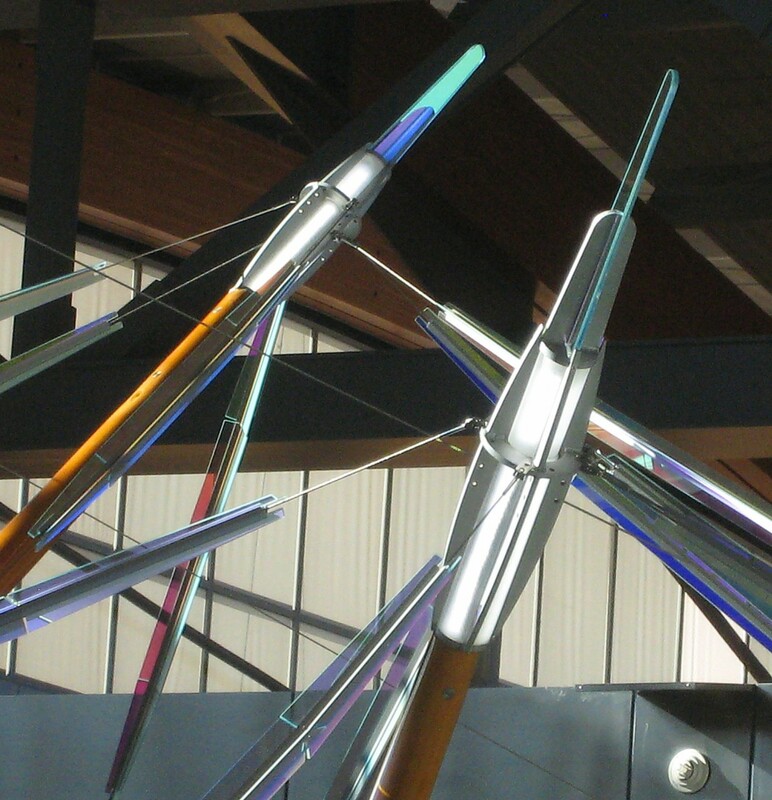 Dimensions: Masts are 36’, 43’, and 48’ long; 9” diameter at center, tapering to 4”. 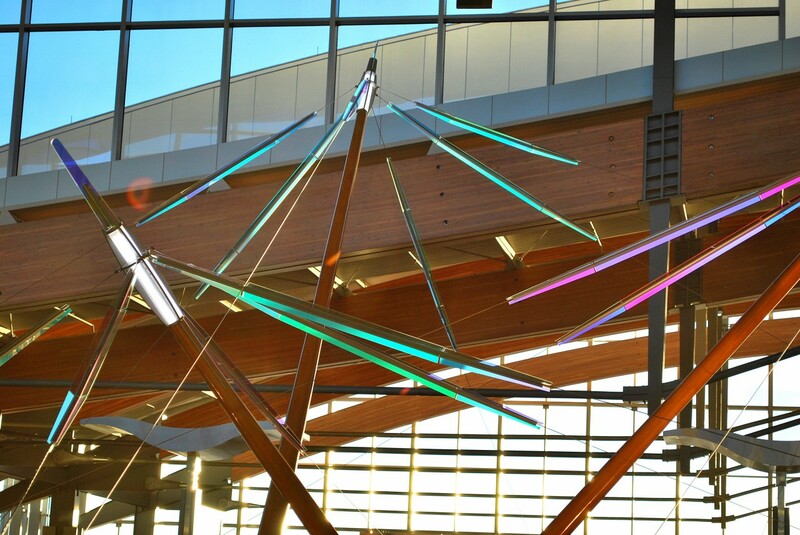 Materials: Materials: Tapered hollow laminated wood masts, welded aluminum fittings, laminated glass tip elements, dichroic glass in anodized aluminum extrusions, stainless steel cables and hardware, and LED lighting.